Markings: At bottom right, unknown collection mark. Secondary Inscription: At bottom right inscribed "Ant. Coregio, 3" (inverted) followed by two numbers in brown ink obliterated by an unknown collection mark. Sculptor and painter Giulio Cesare Procaccini randomly covered a sheet of paper with differently scaled studies unified into a beautiful, integrated composition. This drawing displays his understanding of both the benefits and the limitations of the popular red chalk medium. He used the warmth and vitality of the red color to breathe life into his figures while recognizing that the red could not produce the illusion of depth achieved by shading in black chalk. 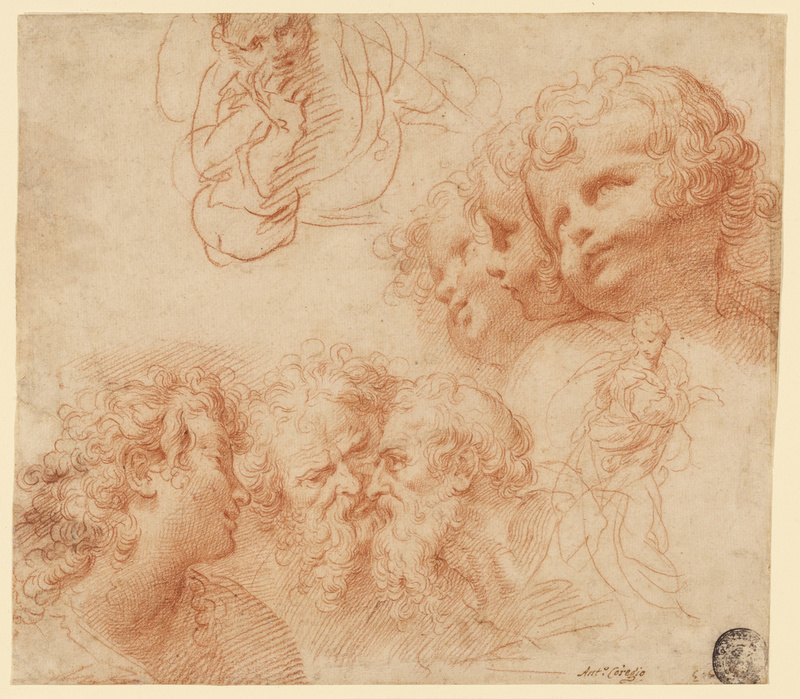 Procaccini's curling rhythms and billowing forms, particularly in the female figure at the right, derive from Correggio, one of his chief sources of inspiration. 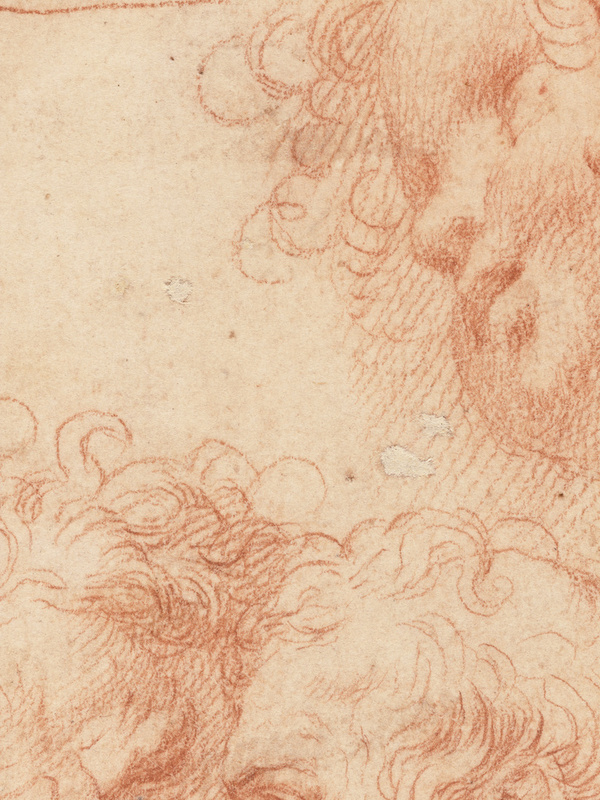 Red chalk was one of Correggio's favorite media, and Procaccini emulated his soft textures and richly modeled surfaces here.